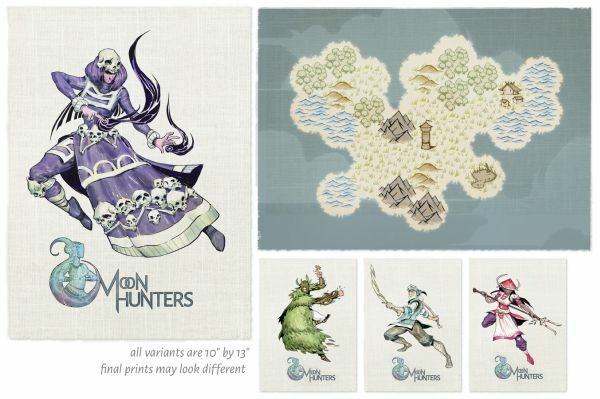 After nine months of concepting, sweating, and working with the Square Enix Collective, Moon Hunters is finally ready for Kickstarter. Moon Hunters is a 1-4 player action RPG with a rich, ancient world that’s different every time you play. Build your mythology as you play, solo or with friends, every action and choice contributing to your legend. They’re offering limited-edition signed poster prints, fabric prints, and T-shirts as unique backer rewards. Early bird rewards are going fast, so act quickly.